All this leptin and carb refeeding stuff was prompted by reader questions; I get a fair amount of questions about carb refeeds, and, because the PB is a moderate to low-carb plan, people (understandably so) tend to assume that carbohydrate refeeding contradicts its basic tenets. They make an incorrect assumption. As mentioned earlier, the Primal Blueprint is the simplest, most enjoyable, most sustainable way to normalize your weight, a description borne out by my own experiences and the experiences of my readers. If you don’t want to fret over every last macronutrient as you lose weight steadily, a low carb, high fat, moderate protein Primal eating plan will do the trick. That said, I am not overly concerned with getting folks to 6% body fat, nor am I interested in producing champion body builders. I have nothing against getting as lean as possible; it’s just not my focus. Turning the Primal Blueprint into a super-leaning out program would mean changing its inherent nature as an effortless system without weighing and measuring. You see, I’m concerned with helping people reach their natural genetic potential through sustainable lifestyle behaviors. And for most people, their natural genetic potential is pretty damn good – lean, strong, fit, healthy. Very few people can achieve that ultra-ripped, Men’s Health cover model look without significant, painstaking adherence to a strictly regimented program. Carb loading or carb refeeds can be used, quite effectively, by those interested in dropping the last couple body fat percentage points. I wouldn’t recommend it for overweight individuals. For them, sticking with a low carb, Primal eating plan is the easiest, safest way to drop the pounds. And you can do it with Primal foods. The purpose, as I see it, of carb refeeds is the restoration of leptin levels in the dieter. As we know, caloric restriction reduces leptin levels. With lower leptin comes increased hunger and reduced adherence to a diet. Cravings arise. Energy wanes, immunity suffers. The lack of leptin elicits the cascade of hormones that down regulate metabolism and energy expenditure. Your muscles use less energy and become more efficient – but weaker and less effective. Menstruation and fertility become issues. Dropping calories even more just makes the problem worse. You need to restore leptin, at least for a bit, to right the path. A carb refeed can help you achieve this. Who needs to refeed? No one “needs” a carb refeed, especially if he or she is feeling good, looking good, and continuing to lose weight with plenty of energy. I never consciously stuff myself with carbs, and I’m doing okay. Remember, too, that a low-carb eating plan doesn’t equal a low calorie eating plan. If your weight loss has stalled, however, and hunger is a constant issue, no matter the depths of your caloric restriction, it may be wise to consider a periodic carbohydrate refeed. If you lack energy throughout the day and your immune system is suffering, you might need to restore your leptin levels with a carb refeed. On your heaviest training days (heavy lifting, sprinting, anything that results in glycogen depletion), increase your carbohydrates and limit your fat intake. Yes, limit your fat intake to around 50g (eyeball it – don’t demolish that stick of butter today). Don’t cut it out altogether, mind you, but emphasize carbs over fat. Fat doesn’t have much of a short-term effect on leptin, and, since we want to increase leptin in the short-term without gorging on overall calories, limiting fat and emphasizing carbohydrate is the way to go. Don’t do much to your protein intake. Just keep it relatively normal. Limit your refeeds to once, maybe twice a week, and always after really big workouts, but really go for it. Eat a lot of yams, sweet potatoes, fruit, plantains, squash – any Primal source of starchy carb will do the trick (grains and legumes are still problematic, so keep away). Eat more total calories than you’d normally eat and way more carbohydrate calories than you’d normally eat – at least 250 g-300 g worth. Finish your refeed day with a decent chunk of lean protein (chicken breast, cottage cheese). You’ll probably get that bloated, water-weight feeling the following day, especially if your diet is relatively low-carb, but that will go away after a day or so. Leptin will rise (independent of fat storage), glycogen will replenish, and your appetite will normalize. Since you’re already fairly lean with low circulating leptin (and, remember: you should be relatively lean before employing refeeds), your leptin senstivity will be high. The leptin bounce won’t be enough to dull your leptin receptors; that generally only happens with the obese, who have chronically elevated leptin. There are other methods. Some experts recommend two or three day-long carb binges. Others say a week long refeed works best. I don’t know about you, but that seems like too much work. I honestly can’t see myself giving up pastured butter and ribeyes for a week straight. Starch without fat gets real old, real fast. I may not find refeeds necessary for my goals, but I recognize that they can help people reach their goals. Everyone’s different. I can’t guarantee my way will work – you may have to get super strict and follow Martin Berkhan’s or Lyle McDonald’s methods to reach your desired level of leanness. 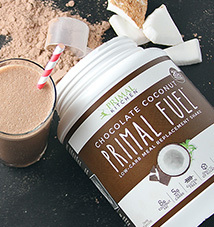 Still, the Primal refeed is worth experimenting with, especially if you’ve reached a plateau lasting a month or more. I’m a big fan of steady, gradual weight loss, and the leaner you get the slower it gets, but it’s not for everyone. The above recommendations simply represent a way you can adhere to the Primal eating plan and still tinker with carb refeeds without overly disrupting your usual diet. If you’re still having trouble reconciling the refeed notion with your idea of Grok’s lifestyle, just imagine you found a bushel of mangos, or happened upon a particularly fruitful trove of edible roots. You think Grok would have tossed those mangos to avoid the carbohydrates? At what body fat levels (meaning please answer for both men and women) is one lean enough to begin benefitting from refeeds? In other words, what do you mean by “lean”? At least 15% for men and 20% for women. Start with a carb refeed every 4th day on a heavy workout day. By keeping fat low and sugar low, you should have a more defined look the next day. For an even leaner look, you can do a ‘dry’ carb feed by limiting water intake. Because you are refeeding and up-regulating leptin, water will be drawn from outside to inside the muscle. If you drink too much water, you’ll just look puffy. YES I highly suggest keeping sugar low or very minimal (fruits) I thought it could help so I ate 4 servings of fruit and I Was sugar loaded and the next day the too much sugar left me lethargic make sure to just eat perhaps one extra fruit that you already currently eat. Your body off with the squashes, sweet potatoes. Good question! And at what body fat % should someone NOT carb reload? I am at 20% body fat right now. Huh, this is very interesting. The other things I’ve read about carb refeeds (possibly from Lyle) say to go as low-fat and high carb as possible, which just seemed hard to me! Eating a sweet potato without drowning it in butter, or a salad without evoo/balsamic dressing just isn’t as appealing. 50g of fat is enough to let you add some butter and evoo into the mix though. That, and eating 250-300 carbs in one day without resorting to grain consumption equals a crap-ton of food (literally…). Thanks for putting your two cents in about the refeed/leptin issue though, I’ve been wondering about it with all the questions circulating in the forums! Funny how different people have different problems. I’ve been eating 100 net carbs a day in just carrots. Sitting down to 1,000 primal carbs per meal isn’t much of a problem for me. Are you orange? I eat a lot of carrots and the rough patches on my skin (knuckles, knees, etc) are all orange. It’s funny. I eat a lot of sweet potatoes, too, which probably contributes to the coloring. Yes carrots and sweet pots will make your skin orange. The longer you keep feeding yourself these foods the longer it takes to rid yourself of it once you remove them from your diet. Hannah, I absolutely enjoy eating lots of fat instead of low-fat carb refeeds. So much more flavor, as well as consistent energy when you prioritize fat over carbs. There’s no doubt that carb loading once a week helps my performance, though. Perfect answers to my questions from yesterday’s post! My only concern with advocating refeeds is that there are probably many of us who aren’t truly as low carb as we might think. In such cases the whole refeed idea is probably minimally helpful, if at all, and serves more as an excuse to carb out without the guilt. I think I will just steer clear and keep on the main Primal pathway. I agree with Rodney. Just like Mark said, this is really almost too advanced/nit picky to really focus on, when just sticking to the PB is all most people will need. Those who really could benefit from this should know who they are, if you aren’t sure, chances are you should not get caught up in the idea of this, and avoid it altogether. Don’t try to give yourself excuses to carb it up. As long as you dont go over the amount of carbs your body can hold, you will not gain fat. Only if you go over will the body store extra carbs as fat if not used as energy. These carb refeeds work wonders for those who can work them. In the end its all about numbers. Insulin doesn’t cause fat gain. The accumulation of adipose tissue is caused by a surplus of energy in the human body or, stated another way, when caloric intake exceeds caloric output. Net fat accumulation won’t occur without this one, necessary requirement. Insulin or no insulin, may or may not lead to fat gain. It depends entirely on energy balance. Fat can be gained via mechanisms of ASP (acylation stimulation protein) with or without presence of insulin. Carb-phobia is a behavior best forgotten. Yes insulin blunts lipolysis in a dose dependent relationship, which simply means if glucose/protein is consumed and insulin is elevated, fat-mobilizing is temporarily blunted (because body will favor glucose), but many make the mistake of confusing this with net energy balance. I know, this is simplified physiology but, to suggest insulin causes fat gain is heinous. 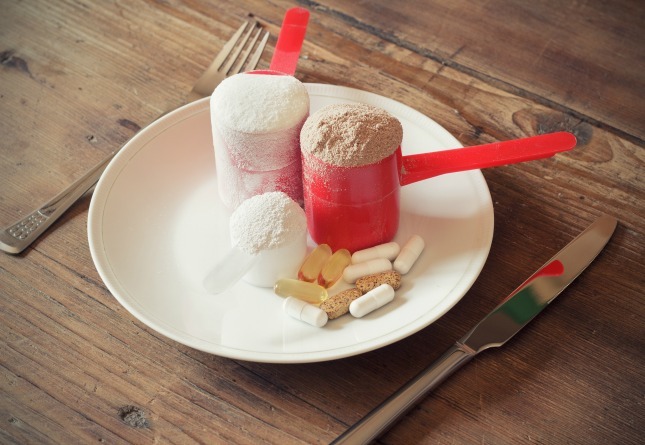 Protein spikes insulin, to a considerable degree too…does protein cause fat gain? (Well again, in the context of energy surplus, arguably, but it isn’t the protein that’s being shuttled to fat stores). You’re wrong. Insulin resistance, regardless of caloric intake. Padding your argument with thick terminology doesn’t make you right. I’m writing this to benefit people looking to burn off fat (or in Mr. Overcompensation’s words, adipose tissue). Going by his “science”, if your caloric output exceeds caloric intake, he says you will burn fat. So, in his (wrong) world, if you just count calories and eat m&m’s, french fries, drink milkshakes, and take a multivitamin, as long as you burn enough calories, you will burn fat. He’s wrong. My intention is to help you reach your goals. His intention is apparent in his vocabulary. Let’s talk about insulin. When you become insulin resistant, the food you eat will make you fat no matter what. If you eat protein, your body still pumps out insulin in addition to another molecule to help absorb it. If your cells resist insulin, you just store everything as fat. People reducing calories by eating less are still going to get fat if their cells resist insulin. If you are overweight, your are probably already insulin resistant. So you eat, but because your cells don’t take in any nutrition because they are insulin resistant, you will still feel hungry. Not only do you get fatter, but you get hungrier, too! Foods that spike insulin levels are the culprits, as well as the time you have between putting calories in your body. Space out your meals so your insulin and blood sugar levels drop back down to normal. About every 3.5-4 hours. Unless you exercise every hour, don’t buy into that small meal through out the day BS. Fats and fiber have a minimal to almost non existant impact on insulin levels. That’s why Mark’s program works. He has you eating vegetables and fats from natural foods. That means high fiber, high (good) fat, and moderate protein when you aren’t exercising. It means that because you are not spiking your blood sugar and insulin, the food you do eat will nourish your cells and be absorbed instead of stores as fat. It also scrubs your digestive track so you have better gut bacteria. So even though the scientific explanation behind this is a bit faulty, the end result is that this diet you all buy into is really good for you and will get you the results you want, you will be able to sustain it, and it will be effortless, just like Mark said. But that other guy that posted is full of crap. Do not give his pretentious explanation of net caloric intake/output any credence. Guys, did you know your metabolism slows down when you eat fewer calories? You become weaker and good hormones switch off. Men, a caloric surplus boosts testosterone. So eat! Hit the whole range of dietary changes. Heal your liver. Reduce bad gut bacteria. Become more insulin sensitive. Exercise enough to stimulate change but don’t do too much. Reduce stress (relax and reduce your resistance to life happening). And watch out for those insulin spiking foods, including protein. I absolutely agree! I use carb/calorie cycling to get ready for physique shows, where I cycle in 4 – 6 no carb days interspersed with a medium and a high carb day. No carbs and low calories is pretty hard to pull off, and not particularly enjoyable unless you have very strong motivation. The longer, slower, incremental process of the PB diet is a way better program for the majority of the population! Do you not understand the importance of Leptin? If you starve your body of carbs you are basically killing your metabolism and wasting your time in the gym. 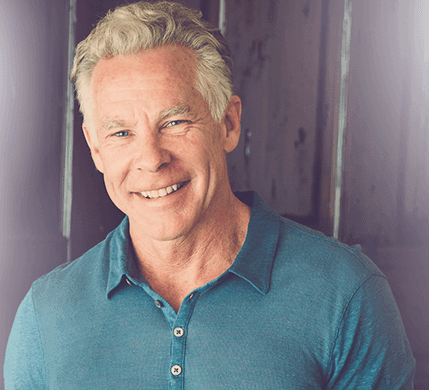 Even Mark Sisson is not accepting that. I have had clients experience great success with refeeding days, or carb cycling. After a period of caloric restriction I generally have them have a cheat day where they can refuel on all the carbs they love but aren’t allowed normally. I follow that day with a fasting day and a bunch of activity. Not only will the refeeding increase leptin levels and prime them for fat burning but the caloric deficit created the following day by fasting and activity will greatly help their cause. Mark, what do you recommend for someone who is very lean, and doing something like crossfit 5-6 times a week. I am currently low-carb (about 45g a day not counting post-wo) while taking in a post workout recovery shake w/ 45g carbs in the form of bananas and raw grass-fed milk. Should I also carb re-feed one or two days a week due to the volume of training? or should I only re-feed once a month or so? This is really interesting. I never thought to try eating loads of carbs one day a week. I’m still a tiny bit underweight, crave carbs, and every now and then have a day where my energy is low. I might just have to try this. Normally I try eating more carbs consistently, but then end up with GERD symptoms and carb addiction. Ok I realize everyone reading this is looking at it from a losing weight perspective. But I’m more interested in one carb-load day, then a week moderate-carb, since I find carbs help me gain weight. Just hoping a carb-load day doesn’t make me addicted to them more. Kat, keep in mind that you need to earn those carbs. So, you need to stay primal in eating and workouts. A plus to carb feeding especially later towards the day is increased seratonin which helps your relax before bed. Yep, I have recently changed my workouts. I used to only do walking, yoga and light weight training. Now I’m incorporating more primal workouts. I would do the carb thing as Mark suggests after a big workout. I don’t think ‘earning’ the carbs is as important for someone trying to gain weight though. I need to gain both fat and muscle. I’d like to know the extent to which a carb re-feed is a good idea for those of us suffering from hypothyroidism/Hashimoto’s. From what I understand low FT3s are the culprit for us, but might this help? I’m going to try it a few times. My Mom has hypothyroidism/Hashimoto’s. I’ve been trying to find some good Primal info for her. Is there anything you can offer up? I would love to see a complete guide to hypothyroidism. I know there are many correctable causes, including iodine/selenium/zinc issues, and even eating a diet high in sugar. I am sure there are others I haven’t heard about…yet. Maybe a nice guide of how to proceed with mineral supplementation, diet changes, etc in order to try to get off a lifetime of medicine. Check out episode 137 of BulletProof Exec, may be a good starting point. Mark, Why not the carb refeed pre “big” workout? Or better yet divide the high carb meal in two, straddling the workout. Also I wonder why you continue to reference Berkhan and McDonald. Both of these fellows are so insulting to and dismissive of the Paleo/Primal crowd. We are, in their words, “Paleo-tards”, worthy of insultingly profane responses. 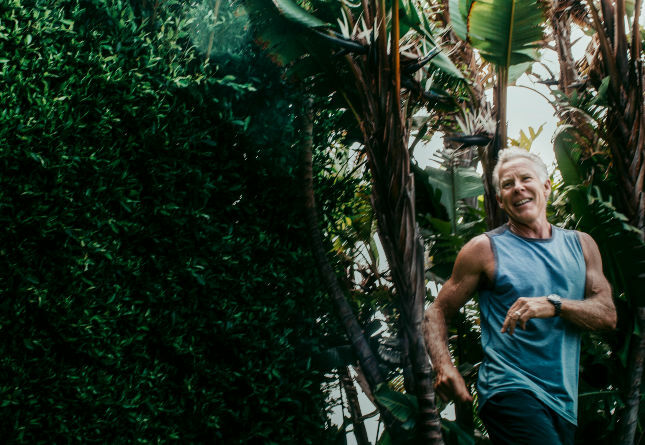 Robb Wolf trains world-class athletes, via a thoroughly researched and field-tested Paleo/Primal approach, and does so graciously and humbly. For what its worth, Martin’s a lot more Paleo friendly than Lyle. True they can be harsh, but in both cases they’ve done their homework, and it would be silly to dismiss or ignore them simply because they hurt our feelings. Truth be told, following their work has helped keep me from calcifying my nutrition ideas into dogma. My contention was that Mark need not “plug” them because they are arguably antagonistic to Mark’s evolutionary approach. In other words what do you find with Berkhan or McDonald that you can’t find with Wolf or Sisson. I’m of the mind that machismo ought to be ignored. Anyhow it’s Mark’s world here and he is certainly free to advertise whomever he wishes. Oh and you know who is really great, very smart, thorough researcher, helpful, open-minded, etc.? That’s because the authors mentioned believe a lot of people in the paleo-world are blind followers, and lack the ability to think critically. They aren’t entirely wrong though. Example: many people in this community believe, in the context of a normally functioning endocrine system, that insulin makes one obese. Or that dietary fat won’t ever accumulate as adipose tissue on a low-carb diet. This is why they laugh at much of the thinking on these forums. Dr Mauro Pasquale, an accomplished powerlifter, wrote thoroughly about this strategy in The Anabolic Diet. It’s a great read for athletes. I thought this was interesting. Unless I am not understanding it correctly, this seems backward to me. I refeed when I adjust to the restricted caloric intake and I am NOT hungry any more. When I go on a slight caloric restriction, I always feel just a little bit hungry (certainly not starving) and I lose fat fairly quickly. After a few days though, fat loss stalls with the concurrent feeling of being satiated from the same diminished amount of calories. To me this seems to indicate that my metabolism is slowing down and needs to be revved back up with a higher carbohydrate/calorie day. I don’t further restrict food intake because I am doing intense training and need the calories to recover; I just want my metabolism to keep up. I actually just did a refeed yesterday. It was my heavy squat day followed by sprints and I felt I could use the extra calories. I enjoyed about a half gallon of whole raw milk throughout the day(sorry, Mark, not Primal I know). This morning, however, after the same breakfast I have had all week, I am noticeably more hungry and know that I am back on track to accomplish my goal of 6% body fat while preserving as much muscle mass as possible. Anybody else take this approach? Interesting concept and I like the scientific basis of it. With PB, it does often seem like I’m a walking science experiment trying to gauge the signals of gene expression with changes to my diet and exercise. I’m of a petite frame & height (5’0) 115 lbs. I think lol; yet try to maintain my weight by my activity levels. If I know I’m going to be very active, I just eat a little more carbs foods. If not I just eat them less & along w/ the other primal foods. Carrying a trail pack of nuts, seeds & dried fruits along w/ other fresh fruits w/ me helps me keep from eating out. Being prepared is the key lol. Interesting post. From my observation (which may be flawed) it seems that most men I know take more easily to lowcarb and lose weight MUCH faster than many women. More women (but certainly not all) seem to have more problems with being tired at times on lowcarb, especially very low carb and I suspect that women more naturally retain fat than most men. Women were not designed to look like men, neither with big bulging wheat pot bellies, but nor with big bulging rippling muscles and very low body fat. I think it bares keeping in mind that women can have very different reactions than men. I think it wise for people to listen and consider what their body tells them. If you feel tired and run down a lot, even after a reasonable adjustment period has passed, then your diet probably needs adjusting, perhaps with a bit more healthy carbs (ie not with unfermented grains), especially if you are an active individual. There is still much we don’t know about genetic predispositions, permanent side effects of decades of grain eating, gender differences, and what exactly happens inside each of us as we eat each individual type of food. In the absence of perfected knowledge, primal eating is a good guideline, but the Kitavans and the Masai eat very different types of foods, yet both are far healthier than most Americans. But on the flip side, it’s worth noting that although all the primitive lifestyles seemed to yield healthier individuals than the American lifestyle, there were variations amoung health and strength between the tribes as well. The primitive tribes did not necesarily always know how to eat in the healthiest way possible for them. They too were sometimes victims of ignorance, tradition, and what was available in their environment. I recall one cannabalist tribe that was almost wiped out by creutzfeldt-jakob disease due to their preference for eating the tissue of the dead. It was only through the intervention of western knowledge of the disease that saved them. Perhaps in the end, what we usually see are tribes that at least developed habits healthy enough to allow them to survive sometimes harsh natural conditions. These were the ones mostly likely to survive and pass on their traditions. Whereas in the west, most of us have lifestyles so cushy that we can be quite sickly and still survive. I agree that carb loading can be a great tool. I have used it in the past with great success. Obviously white bread has no nutrients and spikes insulin compared to sweet potatoes, yams, and other healthy tubers, but white bread has no grains. It does have gluten and I understand gluten can be addictive. Can anyone explain the science about how gluten can become addictive? Check out this article for more on gluten. Look up gluten as an exorphin (includes casein as well). It essentially acts as an opiate on the brain and hence has similar addictive potential. More info here – Food, mood, and health. I think before you go asking about gluten, it would be good to understand that white bread is made of bleached, refined (bran removed) wheat flour. As in it is made of grains. It is because it contains grains that it contains gluten. Mat – white bread is made from strong white flour which is made from wheat (a grain) and contains gluten. The strength of the flour indicates the strength of the gluten content of that bread. The gluten gives the bread its structure. Great post Mark. Maybe you or someone else can give me a good idea what to do. My BF is between 10 to 12%. I have doubled my good fat intake from 50 to 85g a day to 100 to 130g a day to increase my energy. Haven’t noticed any more energy, though. Carb intake is between 40g to 60g daily (fitday.com tells me this). Protein is between 100g to 130g daily. Crossfit twice a week. In my mid fifties. Would reloading carbs a couple times a week make a difference in my energy level? Been eating more starch such as sweet potatoes and squash (about 1/2 c a day). Notice puffy look around stomach area. Like to reduce BF to 8%. I have never heard of carb reefeeding. It is a neat idea. I am not one who is trying to lose weight and I am not realy interested in loading up on carbs duirng a single day or week. I eat a sweet potato once ina while and larabars too. I also regularly consume close to 150 grams of carbs since I eat a lot of veggies and fruits. But, nonetheless, I may try this someday – you never know! It works out really good. I can go from eatting 20 grams of carbs a day to eatting 550 grams of carbs (one day), and not gain a pound. The body has some really neat chemistry working on all this. I’ve done this before on The Anabolic Diet it worked great at the time but I would make it a junk fest and eat everything in site for 24-48hrs I felt sick and bloated for days – but funny enough I leaned out and put on muscle. What Mark prescribes above would be a great tool if training is very intense and goals are above average. It definitely will make a difference based on the foods used for the carb-ups. I may have to try this. I’m one of the unlucky few who didn’t seem to get the “big results” when I went primal. I started it about halfway through my first round of P90X. (Not really primal, I know.) I lost maybe 7 or 8 pounds. Not bad, but could stand to lose another 8-10. My BF is still close to 20%. I’d like to get it closer to 15%. Nothing is happening! I’m just stuck and have been for quite some time. We’ll see if this jump starts anything! I’m having similar issues as you. Was wondering how the carb feeding worked for use. I’m stuck at 20%. I know it’s been real long since these posts, but here’s my input anyway: I was stuck at about 18% (my goal was to lose about 7 more pounds of fat) and refeeding is exactly what jumpstarted the weight loss again (it’s my 3rd week and I’ve lost 2 pounds body fat after stalling for months, and I’ve got a lot more energy). And I also had started having issues with insomnia an carb cravings, and refeeding does a wonderful job in quelling those. OK, this was an informative post for me. I am not trying to lose weight necessarily, just fat. I strength train 5 times per week and cardio (20-30 min) twice per week. Some days I work harder than others. I limit my carbs to less than 50g per day and often don’t even approach that. I feel fine, have plenty of energy….but I’ve been like this for almost a year. 5 feet tall, 102-105 lbs, and 18-19% body fat. Why am I not burning more fat? Why is it sticking around? I tried to do refeeds, but I did it on a rest day over the weekend. Weekly 24-hour fasts seem to not make a difference either. So, I will try this….I will try to eat more carb and less fat on the days I do both strength and cardio, since those are the days I’m working the hardest. At this point I’ve basically decided to accept that I’ve reached my genetic potential and should just be satisfied with looking better than 90% of the women out there my age who’ve reproduced (33 with one kid). But what can I say, I’m a perfectionist and want to look like I walked out of a women’s fitness magazine. I was wondering how the carb refeed worked for you…? you need to cut down on all this working out and crank up the intensity. working out 5 times per week tells me you are not providing adequate stimulus to bring about further changes. it’s not needed. 2 full body workouts per week and 2 x 45 min walks will do(you don’t want the cardio cutting into you’re muscle recovery). Also recovery is more than just muscles. it’s your internal organs that need a break, intense workouts put a lot of stress on your internals. progress comes about during the recovery phase. We want results not frequent visits to the gym! Martin Berkhan is NOT anti-paleo in any way. Where did you get that from?? Seriously guys get your facts straight. Jamie, the ‘prob’ may be simply that you are now at your natural healthy body weight, even if you happen to have a current cultural preference to be thinner (and perhaps less healthy) Sometimes weight loss is healthier and sometimes it isn’t. I remembering seeing a show on althletes and it turned out many of these super ‘fit’ young swomen had the bones of a 60 year old. Even though they looked super fit and ripped on the outside, the high carbs and low body fat were leaching the calcium out of their bone and causing internal damage to their organs. Such low body fat is not normal for women. These women will face serious health consequences as they age, especially if they maintain such a life style. 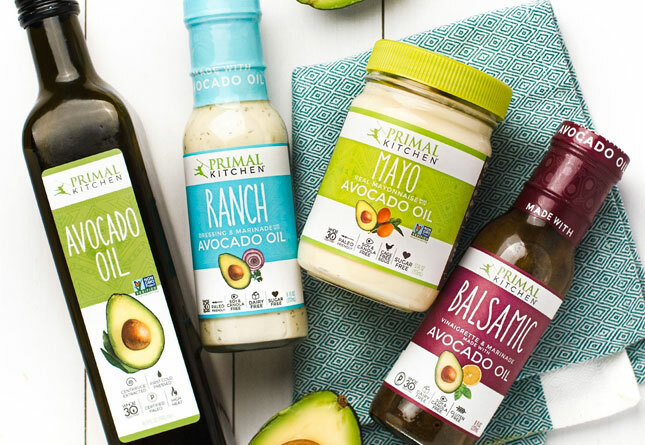 I think one of the big advantages of primal eating is it promotes the development of a natural HEALTHY body weight that is right for each particular individual. Perhaps you do to much cardio and have elevated cortisol levels. Try some hard sprints once or twice a weak. Five days of steady state cardio may be too much for your body. Just a thought. This is interesting–I’ve never given much thought to carb refeeds before. Always thought low-carb was it until I reach my goal. Thanks for an insightful and thoughtful article. Ive noticed since having 1-2 days a week higher in carbs (150g-200g) has actually helped me lose weight. I was starting to plateau after about 4 months eating 90% primal. I added in some sweet potato, or other sharchy root (beets) and bam!! My weight loss continues! Ive even noticed eating 100-150g of naturally sourced carbohydrates (potatos, fruit) dont really have much affect on my anymore. When I eat any grain however, i bloat up like a baloon. Id reccomend a 1-2 day refeed for those who are struggling with the last few lbs! definitely! great article! Do you know how this would work with someone with diabetes? I’m worried about getting dangerous blood sugar levels. Carb refeeds are in no way intended for anybody with diabetes. Ever. That would be like a peanut butter refeed for somebody who is allergic to peanut butter. Periodic carb refeeding is part of Rob Faigin’s Natural Hormonal Enhancement. He gives suggested amounts for athletes and non-athletes. Years ago (before reading Faigin) I was low-carb for 6 months, hit the wall bigtime, hungry every minute of the day; my thyroid was depressed. Low-carbing is catabolic; you need the occasional high-carb meal to get anabolic again. It was months before I regained my energy, and most of the weight I lost flew back on. Anyway, my DH has been on Faigin cycling for about 2 years now and has lost 45 lbs and kept it off, even while eating the weekly pizza. I’ve lost 27 lbs since January (and I’m a sedentary woman in her 60s). I can tell when I’m ready for my carb-load: I’m hungry in a way that my usual meat and veggies don’t satisfy. Faigin’s carb-loads are low in protein and fat; he recommends starch rather than sugar/fruit. They are not an excuse to eat just any awful sort of stuff (no twinkies, in other words). It is always the last meal of the day, twice a week. It’s really working for me. I’m VLC the rest of the time. This was a good primer on refeeding, Mark. I am not sure why people think I am dismissive of paleo. I have previously said that the paleo diet is a great model for a lifestyle approach to nutrition. Very conducive for health and maintenance of a lean physique. I am only critical of extremists in most nutritional camps. The Primal Blueprint style of paleo seems very liberal and doable. The way Mark describes paleo here, potatoes and cottage cheese being “ok”, is very close to how me and most of my clients eat: whole foods only, not very heavy on grains, minimum of supplements etc. Because they haven’t read your stuff 😉 You clearly have a great system out of the box thinkers (like Mark) can recognize. I like poking around your site. Keep up the work. Yes I agree your site is great. Your articles are in my reading rotation when I should be working. You seem to know your stuff you should write a book or something…. We just started cutting out grains and going low carb last Thursday. My husband went through grain withdrawals yesterday and got the shakes. We were eating plenty, I went through the same thing a day before him. This refeed sounds like it may be great. I would love to get through a month without having to do this, but if we can’t then a refeed may be very benificial. Well, you absolutely should not refeed for a while. Your body is changing from a sugar furnace to a fat furnace. Introducing carbs again to soon would not help at all only hurt. Great article on the benefits of carb refeeds. That made perfect scientific sense. Also good point about giving a program that is for the masses. You are right that the bulk of the people are not looking for even 10% body fat. I have a question. Does the body lose sensitivity to carb refeeding after say doing it for a couple of weeks. What has your experience with this been? This website is a religion! Primal eating? Give me a break. Paleo diets are a joke! Don’t knock it until you try it, dude. I’ve lost over 90 pounds in 10 months, regularized and normalized my blood sugars, normalized my cholesterol, and eliminated my arthritis, migraines and IBS. 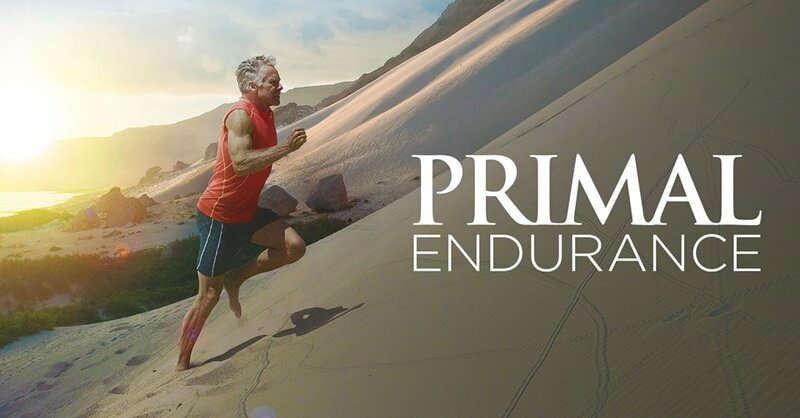 When you’ve tried the Primal Challenge for a month, you’ll see changes you can’t deny. I dropped 26 pounds in the first month alone. I wonder, can we really feed the people of the world without replying on grains? Why does it seem that asian countries, where rice is a staple, don’t seem to have problems with obesity? No, we can’t. But we never should have had this size of population in the first place. And have you looked at the Asians in modern societies any time recently? Heart disease, obesity, diabetes – they’re all skyrocketing there. Hi Mark. I reintroduced more carbs into my diet recently. Around 150g (only starchy veges, fruits etc), which not high compared to western standards is high for low carb. However, I did it because I was just feeling so hungry, depressed and low in energy all the time. So far I feel much much better. I still have the fat too. It seems to be working. Maybe it was the leptin? What about refeed on rest days? I follow a 3on/1off program (crossfit). Normally i can time a refeed so it falls on a workout day, but sometimes after a particularly intense workout, I might take an extra rest day or whatever. Anybody have any comments/thoughts on a off-day refeed? I’m interested in knowing if a carb refeed is effective or not on rest days as well. It’s effective in the sense that it will have the same metabolic effects, but with regards to nutrient paritioning (where the calories go) it’s definitely more favorable to have refeeds after your training. Great post Mark. I like the layman terminology and your approach to describing a complex endocrinology lesson. I know in the past when I’ve bumped my carbs, I feel like Superman on crack. Euphoric, to say the least. I have been low carb for the past week, below 20g per day. My energy levels are good, and I’m leaning out nicely. I am between 12-15% bf and want to lean out and get to 6-8% bf. I crossfit 6 days a week. I wanted to do a carb refeed every 10 days. Would it be too soon to implement that? I wonder if the cost of raising leptin levels outweighs the cost of not allowing my body to rely heavily on fat for fuel rather than carbohydrate for fuel. Is having the refeed this early going to take me out of the predominant fat for fuel mode, and how long should I go before I have one? I think you can get the same leptin reset without carb loading just by cycling calories. I have been Zero Carb for 18 months (1.5 years) and yes, I’m a female. I also support the paleo diet, so I’m not against it being ZC. Anyway, I am an active lifter and I do cardio, bodyweight, hiking, etc. I just have one day a week or two where I eat higher calories in protein and fat, keeping the same ratios I normally do (about 65-70% fat and 30-35% protein). I see no reason the body needs carbs for your activity level if you are fat adapted as I am after 18 months. I have no desire to add in any other foods. I don’t believe women do less well on VLC/ZC; it all comes down to goals and personality. I am sitting at 104lbs. and 14% body fat and this is due to ZC and fasting. One of Mark’s references in this blog post showed that dietary carbohydrate stimulates leptin, not dietary fat. I’m what I call “modest carb”, usually 100g per day, but the “refeeds” have helped me keep body fat in single digits easily. I’m into it, it feels good, and really does work. On those days I eat about 200g-250g carbs per day, but not more calories, just different ratios. After eating modest low carbs for so long, it’s almost difficult and gluttonous to eat 200g per day. Which is still far less than the average American. I think most of the problems low carb dieters run into down the line, which is blamed on low carb, is due to low calories. I was just pointing out that because I am active, I eat more than I feel hungry for, being Zero Carb, to make sure I get my nutrition in (I like to track and use Fitday every day and weigh my food…it is easy because my meal is some meat, eggs and butter). I eat 95% organic / grassfed meats, eggs and butter. I just don’t see that it is necessary for active, healthy people to do carb refeeds, particularly as it was not an automatic option for paleo man. I am not saying not to do it, but I hate the inference that one cannot be highly active, and female, and be Zero Carb for the long haul. I plan on doing this for the rest of my life if the past 18 months is any indication of the success I will continue having. I would be very interested in hearing about your journey in ZC and VLC! You are right now where I’d want to be, and I do seem to do better on VLC than most women. I’m just constantly conflicted because of all the contradicting opinions/ information out there! I think the most important thing is to do what makes you feel good and what works for the you, the individual. I don’t feel well below 75g carbs per day, and not to be vain (well, that’s a lie), but doing weekly carb refeeds has helped me keep the elusive “six pack”. I stalled out just eliminating more carbs. The other appeal for me to doing refeeds is my unending interesting in endocrinology and how it relates to every day life. Fun stuff. Short question. Will a low carb primal eating plan always result in low leptin levels and associated lower basal metabolic rate thereby limiting weight loss? You mentioned not eating grains (?) and legumes on high carb, just curious why’s that? Because grains and legumes are toxic to the human body. Great site with nice articles… thanks for sharing. It’s a Program highly recommended!!! The primary aim of a refeed is to prevent your body from feating upon itself for quick energy. Low carb for too long triggrs hormones (not just leptin) because your body now thinks it may be starving. A single day of hi-carb is enough to “reset the clock” and allow *extremely* low or even zero-carbs again. If you need to shred fat fast, try near zero-carbs (veggies ONLY) for 3 days, and a refeed towards the end of the 4th day. I don’t care what body fat level you start off with, that will work. Someone suggested going low on water – no. Water helps the whole process along. The idea of just going low-carb for a week, or weeks, even months, at a time? No. Your body will simply react and adapt. The whole idea of a refeed is to trick your body into thinking carbs are plentiful, just not right now, so it is happy to switch to the ’emergency’ energy of fat – because it doesn’t think this is a real emergency. If it DOES think this is a real emergency (low carb for too long) then it will nibble at your own muscle tissue for fast energy. Such as during a workout. Fat storage isn’t intended for daily use, it’s for extended emergencies such as illness or major injury. So the trick is to assure the body that calories, especially carbs, are readily available – but for now let’s use some fat. It’s a balancing act. Your body will react within 3 or 4 days, so that’s the ideal time for a refeed. And yes, you SHOULD consume enough healthy carbs for insulin to start storing some as fat – that’s the trigger that prevents the ‘starvation reaction’ hormones. Sorry for such a long post but my impression is many readers misunderstood the original article. Mark is talking about long term versus short term. Long term just ‘reduce’ carbs and you’ll do well. If you want a bodybuilder style ‘shred’, zero carbs and refeed every 3 or 4 days. I believe you’re confusing low carb with low protein and low calories. Also, fat storage *is* intended for daily use. If you don’t understand this you don’t understand why people go low carb. If you’re over 15% body fat, all you ‘need’ would be one cheat meal a week, with a max of 100 grams of carbs in one sitting… Then you’d be back to low-carbing for 6 days. With my clients that lift “Heavy”, I place the re-feeds on the days of their most strenuous lifts, and try to have them eat the majority of their carbs pre & post workout. Like Mark Said, keep fat low (between 30-50 grams) and protein around 1 gram per pound. Finally, if your goal is to lose fat (and retain or even gain muscle) then you will only have one or two “high-carb days” per week, the other five or six days being your paleo or fasting days. Great comment. I’m saving this now. Thanks. I think I’ll have to try carb re-feeding some time after a workout. I’m feeling a little beat, and my hormones are low (female), so I figure it might be a good idea to try out; see if I get more energetic! And Mark, thanks for ALL your GREAT, GREAT posts! I love reading them; keep ’em coming! If I’m going to do a refeed when should I do it? I typically lift 3 times a week, early morning, around 630am. (intensely). Would a refeed be better on the day before and intense workout? Or should I do through the day after I did a workout that same morning? Start your refeed after your workout and end it after 300-500 grams of carbs have been ingested. Regarding the ‘effectiveness’ of carb refeeds here is the scoop. If your muscle and liver glycogen levels are depleted then it will work great. Therefore, if you have VLC it for say 3 days straight, then do a anaerobic workout involving legs,back,chest at minimum your muscles will be depleted. Now, between muscle and liver, your body can store about 500 Grams of glucose, therefore if you can eat 500 Grams of dextrose type carbs, ALL the carbs will go into your muscles/liver. Even if you overdo it a bit (say you only hold 300 grams and you eat 500) nothing bad is going to happen. This is how supplement companies can make claims like ‘Gain 15lbs in a week!’ and sell you something with 75 grams of dextrose+creatine. Sure, if your 300lbs steroid muscle man in a carb depleted state and take 4 servings a day for a week, your GOING to add 15lbs to your scale weight via hypercompensation of muscle glycogen stores. A sweet potato is 41 grams net carbs PER 200 grams. I just weighed a normal sweet potato and it weighed 450 grams, so it should be right about 100 grams of total carbs. Minus out the 18 grams of fiber if you want (i wont). That means if you eat 4-5 normal size sweet potatoes (not a big deal) you will have consumed between 400-500 grams of carbs. Drink a lot of water as each gram of carbs will carry with it 4-5 grams of H20 and you will get a headache if you get dehydrated from the tater. So…I only have ten pounds to go until im at an average weight for my height…is this what I should be trying?? or doing to acheve the desired results Mark?? Again, your website is like my bible!!! Great read! 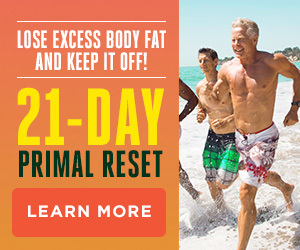 Ive known about refeeds since I’ve used them during my fitness competition to get very lean for stage but I had been looking how to do if the primal way, thanks!! I would like to try this. Im 5’4′ 135 pounds, 23 years old. 25% BF (Or so my scale says) It seems to be hard for me to loose fat and I’ve been pretty low carb for a while. On the days that Im not cycling, or refeeding (I plan to do one day) should I keep my carbs around 50-100? should I :refeed: only after a work out? This was the first site I found, on refeeding. I am currently doing a low carb and high protein cutting diet and I really feeling the effects. I was thinking of doing a refeed but I only started the low carb and high protein diet 2 days ago. Should I just keep on this and then starting next week, incorporate the refeeding. Or does it not matter when one starts refeeding? Chris Powell, of Extreme Makeover-Weightloss Edition, has a book out. It’s hard to argue with his results, and it’s relatively easy to tinker with it to make it less grain/legume heavy and swap in more friendly starches. But essentially, it’s the “poor man’s” carb-cycling he does for his obese clients: 1 high carb, 1 low carb for a week. On the high carb days, fat should be minimized as much as possible, and on the low carb days, ditto. If I was to arbitrarily use a number for both, 50g or less on their respective low days would seem right. The seventh day is eat what you want, within reason. 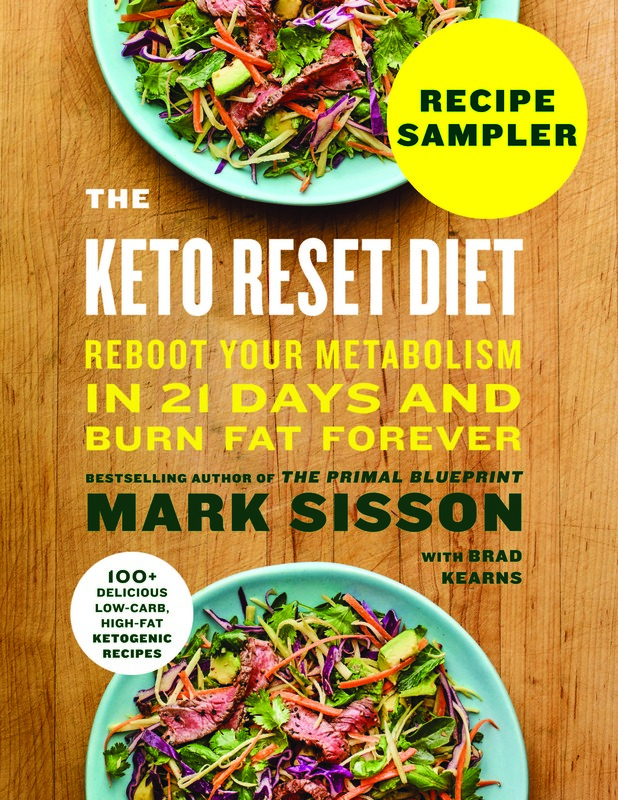 Near the end of the book, he finally gave calories he’s had success with: Low-carb days were approximately 1600 and high-carb days were approximately 2000. The cheat/refeeed day was 3000. This could be a mechanical template one could use and easily make it primal friendly by keeping the protein constant on all days and adjusting the other macro’s as needed. Not sure if people are still reading this, but I have been feeling VERY VERY tired… everyday… I started primal eating 4 weeks ago, lost 10 pounds and have no complaints other than feeling EXHAUSTED. I don’t eat a lot because I just don’t feel hungry (not dieting), isn’t it what we are supposed to do? Eat when hungry only? I generally have a 2-egg omelette with cheese and bacon for lunch and some fish/veggies for dinner. I drink green tea in the morning and eat some cottage cheese if I feel hungry. Is that too little? Do I need to increase my carbs? This is so frustrating, I’m happy I’m losing weight effortless, but I can’t continue feeling this tired forever. Any suggestions? PS: I’m 40 years old, 5’3″ and weigh 172 lb as of today. I also am having problems with fatigue. I hope someone will answer you with some helpful suggestions and or an explanation. Basically, you are glycogen depleted. Ignore all this ketosis crap and refeed on carbs. Eat carbs for atleast a day first thing in the morning.. 3-4hrs before workout and 30-60mins post workout. You will then be resetting your Leptin sensitivity as well as refilling your glycogen stores in your liver and muscles. To be honest, I started with PB but have since discovered that carb cycling (which is what Mark sisson is now advocating) is much better for weight loss,muscle gain and best of all..freedom to eat the dreaded carb!. Unfortunately whilst not a terribly unhealthy diet Paleo seems to be just another fad that is not optimal for maintaining the bodies natural balance. Im sure i will be flamed for speaking my mind but this is what I have found, each to their own. It’s funny that before I ever read this or any article about carb refeeding, my body naturally forced me down this exact path “intuitively”. Sometimes your body just craves carbs! Won´t carb reefeds make me feel the carb flu all over again? This is why I try to keep my carbs low all the time. I would hate to go through the carb flu again. I do not count my carbs but I do believe they are below 100 gr, so I am kind of on a ketogenic diet, right? I like the idea of the refeeding. It´s like having a cheat day, being able to cheat on all yummy healthy carbs. I would like to follow with a fasting day, very strict low carb of 20 gr or less. Will this one time a week refeeding get me out of the ketogenic state? I would think so. But I´m more afraid of the carb flu lol. Will I get the carb flu all over again? From what I’ve read, carb refeeding isnt likely to take you out of ketosis or induce carb flu. Look up info regarding Cyclical Ketogenic Diet (CKD). What would you recommend to a woman around 30% BF who has plateaued for months? THANK YOU for writing this. I finally feel like playing again after a phase of exhaustion. I’ve been low-carb, high fat, forager for years. Very low body fat. Felt good for a long time, then depletion hit, a little weight gain, just no good. All I needed was a couple days of sweet potatoes with no guilt. YAY leptin. I’ll def be writing about this on my blog and link to you. I wish they would encourage this to ppl who have died chronically. It’s all in the mind! Recovering eating disorder of 15 years. Chronic stress led to adrenal fatigue…hasshimotos/hypothyroid, than mono…chronic fatigue…had not eaten red meat in 15 years. I now can’t stop eating buffalo burgers! After years if restriction all systems were messed up leading to stubborn weight gain & having a hx of anorexia & bulimia …those extra lbs were hard to swallow. Any thoughts on someone with autoimmune/cfs…don’t want to overdue it…slow intro to weights? Any advice on reintroducing fitness? if it. Variety is key! Also…anyone believe in synthetic hormone therapy for woman & being on paleo/primal. The impants are controversial & according to this philosophy so unnatural but I have seen they change lives. Than again, many ppl want a pill or implant instead of addressing the underlying problem. I wish eating disorder programs weren’t so focused on weight gain & carbs. It’s a Shame. Relapse is so high. This is my goal…to start a site to help those suffering & educate on how this way of eating can help save your life!!! Any links of eating disorders/ paleo wouid help! Been Keto for 4 weeks saw inital big drop now weightloss has stalled I am around 10% or less BF (endurance athlete) dont feel I NEED a carb up. But performance is down. Would a clean refeed do me well? Hey everyone, so, which Paleo-vegetables would one recommand to go on a carb-refeed? 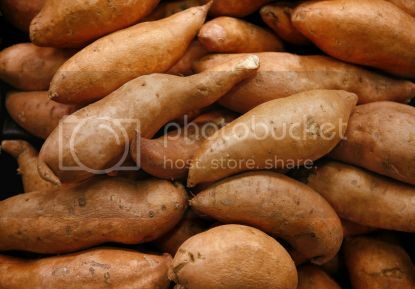 I don’t like sweet potatoes very much, are there any alternatives to get to 200-300g carbs? Although it was momentarily difficult to accept that you don’t like sweet p’s (personally, I could eat about 3 with dinner), here are some other options, my man. …I just wanted to point out that you, and everyone else commenting on this post, have plenty of weapons at your disposal. Variety is the spice of life, and most importantly, crucial for sanity when it comes to food consumption. I hope this helped you out a little bit. Let me know if you need anything else! Thanks for commenting on carbs beeing too boring without fat. There has been a lot of commenters saying that carbs and fat should never be consumed at the same time. I know that carb metabolism is slowed by fat and protein, but I had started to worry. So, from no carbs at all because carbs are a product of agriculture a technology introduced by man to… Carb refeeds are required. To be honest this basically debunks his own book. I guess he couldn’t ignore leptin studies and his reasoning that he didnt mention it was “i dont care about people to get down to low bf%”. Thanks for my wasted efforts following your advice, should have known better than to trust some infomercial salesman. The PB is now a carb cycling diet thats been around for decades. BTW it actually works. Question…been GAPS for almost a year in an effort to hea the gut for better absorption, BUT am having trouble gaining weight (need about 25#). I consume lots of fat, probably more protein than i should and veggies and a bit of fruit. What is my goal for leptin reception and should i carb load weekly? Do carb refeeds also work if I am sedentary but tired often, or does it only apply to active ppl? Will it just lead to fat gain while eating in a caloric surplus because insulin levels arehigh but I’m not active to deplete glycogen stores? I was wondering if anyone can help me. I’m a first timer at refeeding. I understand the concept except I don’t know if to measure the vegetable (in my case butternut) as cooked carbs or as raw weight ? Eg raw butternut I would weight out 600grams (as I read women’s ratios should be – 100carbs,50fat max and protein stays the same – mine being 80grams per day) but then I roasted the butternut and happen to weight it again afterwards and it was 358grams -do I count the carbs on the raw butternut at 600grams or at 358grams cooked? How long should one be in ketosis to start weekly carb refeeds? Does it matter? I’m a 22f who lifts 3x/week half hour per session and I run 20-25 miles per week if that helps. About 23bf but that’s an estimate- goal is to lose those last 5-10 lbs. been in ketosis for about 3 weeks and have seen slow results. I am just a little confused, should that 300-350 grams of carbs all be consumed after the workout or spread out throughout the day? What works for you, I guess. As for myself, I feast on carbs all day, and then workout in the late afternoon while stopping the carbs, and in the evening I stuff myself with lean protein (including lots of collagen) as the last meal of the day. The next day I fast and rest (I still eat a huge lean protein meal with some celery/cucumber/lettuce in the evening though). And the 5 other days I eat like 50g carbs max, protein and lots of fat. Works great for me, but some like to workout in the morning before eating, and then stuff on carbs for the rest of the day, or some other method. Try things out and stay flexible. I just want to say that I was impressed with this article. I have not tried his method yet, but from reading it I can say that it is much better written than other articles on the topic of refeeds. So many people ask for the “cookie cutter” method of losing weight. What works for someone might not work for you, so don’t buy into someone else’s formula. 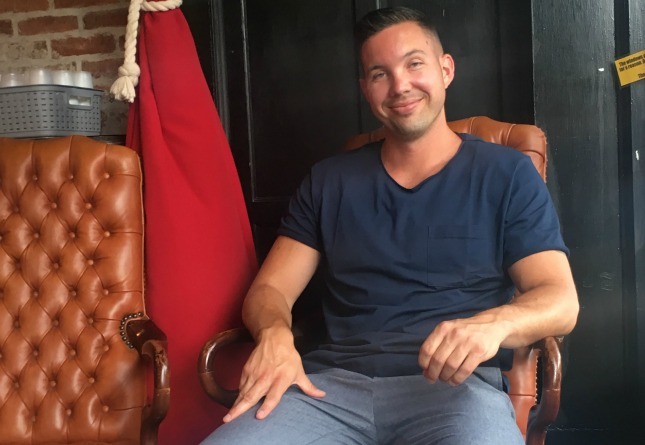 Sure, Mark gives a method for losing those last few pounds of fat, but he also does something I rarely see: he tells his readers how you should FEEL when you get to the point where you need refeeds. That is the most vital part of giving someone advice, in my opinion. 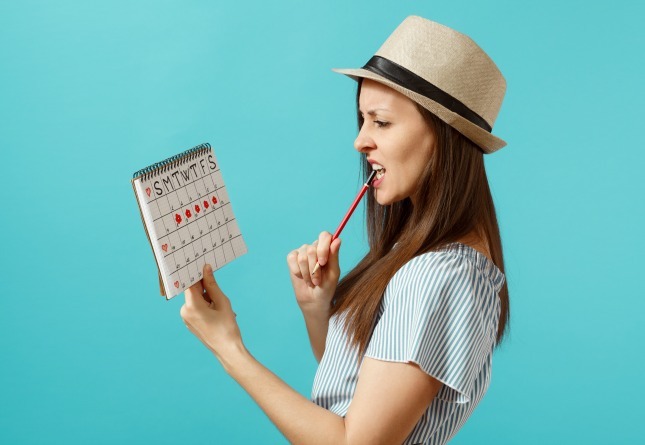 You can have them try so many different methods, but until you tell them how they should feel when they finally hit that method that works for them, they can be spinning their wheels for years. If you have a lot of fat to lose (>15% for men and >20% for women), sure, refeeds may not be necessary. But when you are struggling to get through your workouts or dreading them because you tired, exhausted, lethargic, sick, not getting enough sleep at night (not because you only set aside 4-5 hours, but because you sleeping patterns are messed up because your hormones are messed up), fantasizing about food more than usual, your stomach is growling all the time, you are getting low blood sugar headaches, or your body has stopped responding to your diet (skin is more “watery” than usual, you hit a weight loss plateau for a few weeks, you’re sore longer than usual, etc. ), then it’s time for that refeed! Sorry, I got carried away. This clears up so much confusion for me it is so thoroughly written that’s why I love this blog thanks Mark! Love-it, love-it, love-it! What an incredibly insightful article/post. Mark you’re touching on simple, much-overlooked principals of health and fatloss. Thank you for clearing the mud. Question, when stating low on fat how many grams are we talking about? I’m at 9% bodyfat, 5’7″, 79kg, 60-years young.